What makes the transformation possible from muddy mess to something cool and clear is a 2,200-acre, man-made wetlands stretching between the river and the reservoir that is capable of treating 95 million gallons a day of water from the river. TRWD Wetlands Manager Chris Zachry holds up water coming into the wetlands from the Trinity River (left) and water coming out of the wetlands (right). “See how clear the water is? People are really surprised by that,” says Chris Zachry, manager of the wetlands for the Tarrant Regional Water District, as he drives along one of the levees in what has been his “office” for 14 years. Officially known as the George W. Shannon Wetland Water Reuse Project, the $75 million wetlands is the largest in the country and the first to be built for water supply. Completed in 2013, this reimagining of nature’s own water recycling and purification system now provides TRWD with up to 25 percent of its supply, helping the district deliver water to 2.3 million residents, even during times of severe drought. Some of the worst droughts of the last century occurred in 1917–1918, 1925, 1930–1936, 1950–1957, 1971 and 2011–2014. See how 2018 measures up. Without the wetlands, projections show that the district within the next few years would have struggled to meet the demands of its biggest customers – Fort Worth, Arlington, Mansfield and the Trinity River Authority, says Wayne Owen, the district’s planning director. Using the wetlands has also allowed TRWD to avoid building another reservoir. 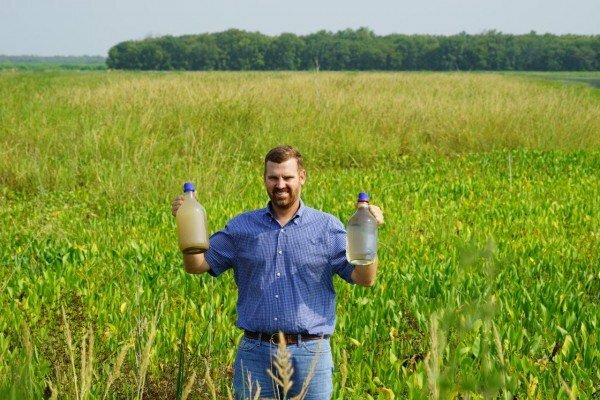 Creating a lake with a similar yield – along with the pipeline to bring the water 110-miles back to the Metroplex – would easily cost more than $1 billion, he says.In the late 1980s and early 1990s, when the district first envisioned creating a large wetland to recycle water out of the Trinity River, Owen said he thought it was going to be an option, just “window dressing” as the district looked at other options, including adding lakes. Now, his attitude is changed. The wetlands have proved him wrong. “Reuse has made a total believer out of me. It has such a profound impact,” Owen says. A bonus is the wetland’s ecological impact. Built within the 14,000-acre Richland Creek Wildlife Management Area, it has been praised for restoring wildlife habitat that typically is lost by growth and the activity to support it, including reservoir construction. In October, the wetlands will be recognized by Texan by Nature – a nonprofit founded by former First Lady Laura Bush – for having an innovative and transformative project that makes conservation a part of its business model. Green-winged teals, American widgeons, Cattle Egrets and Wood storks use the wetlands during their migration. Deer and wild hogs roam through it. Run a seine through the marsh and you’ll bring up fish, crawdads, frogs, snakes and small alligators. 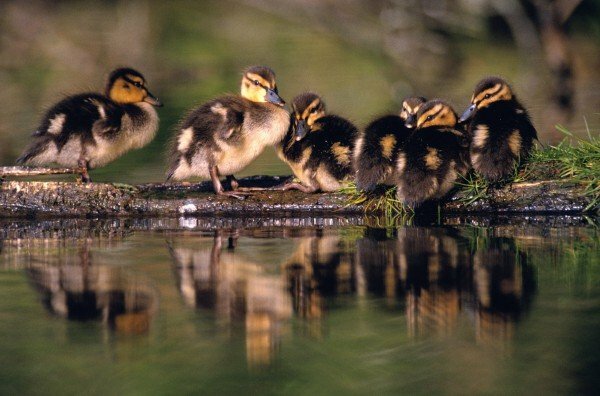 Mallard ducklings at the George W. Shannon Wetlands. Thousands of bird watchers and hunters visit the wetlands every year, according to Texas Parks & Wildlife, which actually owns the land where the project is located. It was turned over to them when the reservoir was built in the 1980s. 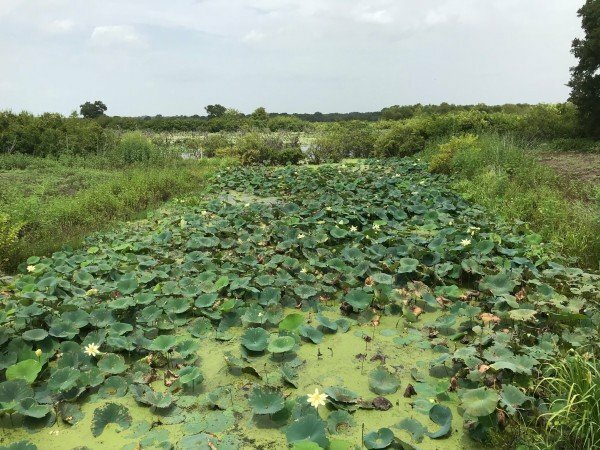 “You name it, it can be out there,” says Matthew Symmank, a wildlife biologist who oversees the area for Texas Parks & Wildlife, who said the wetlands is in the central migratory flyway. “When we manage for waterfowl we manage for everything. You get out there and you’ll see raccoons and otters. Beavers. … You get the benefit of both the wildlife area and water supply. They can work together. Creation of the wetlands didn’t happen overnight. The project was constructed in four phases over 22 years. The first tests were conducted in an abandoned fish hatchery at Eagle Mountain Lake in the early 1990s, which was followed by a 2.5-acre pilot project near Fairfield. This was followed by 250-acre first phase that eventually expanded to 2,200 acres by 2013. 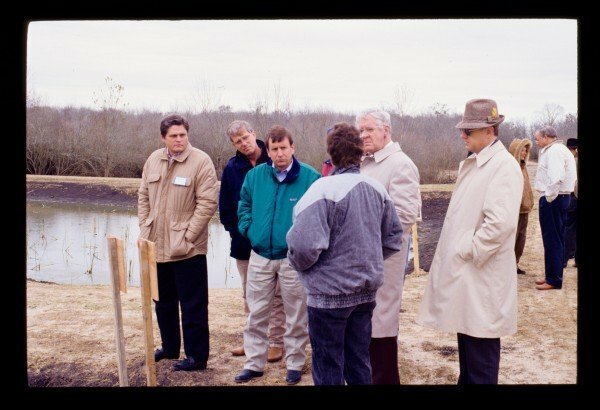 District staff toured the pilot project in 1992. Along the way biologists and engineers tinkered and refined their designs. When they discovered water was flowing through the project’s sediment basins too quickly, they adjusted the flow by adding a floating baffle, or curtain. To distribute water more evenly throughout the wetland’s 1,730 acres of marshes, the slope of the land was changed. In nature, a wetland is ground near lakes, rivers streams and coastlines where water is naturally contained in shallow, sometimes flowing pools. The aquatic vegetation, soils and micro-organisms act as filters, cleaning out impurities. Wetlands can dry up, only springing back to life when water is reintroduced. The TRWD’s wetland may mimic that process, but it improves upon it. Large pipelines bring water from the Trinity River into the wetlands. Water is pumped from the Trinity into five, 8-foot-deep pools, or sediment basins, that take up about 117 acres. These basins hold the water about 24 hours, allowing 80 percent of the solids – the clays, the silts, the sands – to settle out. After the water leaves the “sed basin” for the wetlands, it is possible to see through the bubbling water. From these basins, the water is evenly discharged into what are called “cells.” Here, carefully selected vegetation growing in shallow marshes continues the scrubbing and cleansing process. As the water flows through the system, the wetland cells remove 50 to 60 percent of the phosphorus and nitrogen from the water. In addition, sedimentation is removed during the final treatment process. Water is filtered through large wetlands cells. “These systems are rockstars at removing solids from the Trinity River water,” Zachry says. Wetland-filtered water is being pumped into Richland-Chambers Lake. To keep the cells productive, portions of the wetlands is periodically drained so biologists can manipulate the vegetation growth to promote plant diversity. If left alone cattails and other invasive species can outcompete plants that provide valuable wildlife habitat. For example, millet and smartweed are important food sources for migrating waterfowl; the seeds produce “pure duck food. It’s like putting out corn for deer,” he says. “It’s a pretty delicate balance. The 20 cells in the wetlands are linked together into seven different chains, or “trains.” With the help of gravity and manipulation by 73 water control stations, water spends a week in the wetlands before flowing either through a canal, Carroll Lake or Alligator Creek to a lift station that is able to inject a torrent of water into Richland-Chambers. The wetlands has increased the water supply in Richland-Chambers by about 50 percent from 210,000 acre feet, or 68.4 billion gallons to 310,465 acre feet, or 101.2 billion gallons, which is crucial to providing water to TRWD’s customers. For example, during the 2011 drought, Fort Worth used 77.5 billion gallons of water alone that year, Owen says. The Richland-Chambers project is so successful the district is going to build an 1,800-acre wetlands near Cedar Creek Reservoir at a cost of about $90 million. While no firm construction date has been set, some say it may be needed by as early as 2025. Compared to building another reservoir to boost water supply, the wetlands cost is a great buy. Water from a wetIand costs from a little more than $1 per thousand gallons compared to a little more than $4 per thousand gallons from the next planned reservoir. Make no mistake, Zachry’s woodland workspace is in the middle of nowhere. When Zachry is deep in the wetlands, cell service is dropped and the nearest gas station is 10 miles away. There isn’t a Wal-Mart anywhere close, but he said there is a Dollar Store near the lake. When it came to town “that was like big time,” Zachry says. The lack of a wild life suits the wildlife just fine. 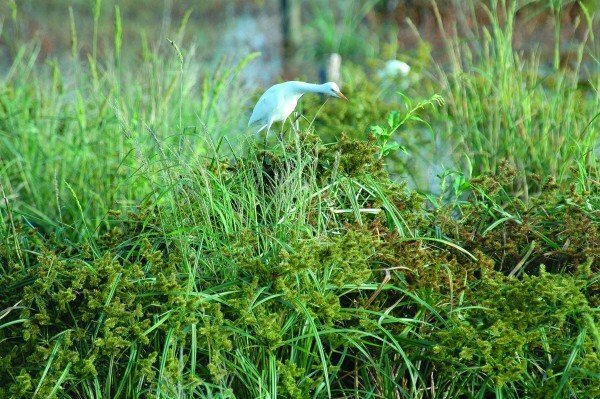 The wetlands win praise from conservationists because it has made up for the hardwood habitat haven for migratory birds and other creatures that was lost after Richland-Chambers was built. The lack of a wild life suits the wildlife just fine. Drive through the wetlands and you’ll see deer, armadillos, nutria, vultures, egrets and great blue herons. Also don’t be surprised if there are a gaggle of birdwatchers, or “birders,” hunting with their high-powered scopes and cameras. The wetlands being a fertile playground for wildlife while acting as a water resource is clearly a win-win situation, Symmank says. The wetlands attract more and more birds – and people – every year. The wetlands attracts 5,000 to 6,000 visitors a year, he says. “The biology doesn’t change. It works,” Symmank adds. This partnership is a key reason the George W. Shannon Wetlands won an award from Texan by Nature. 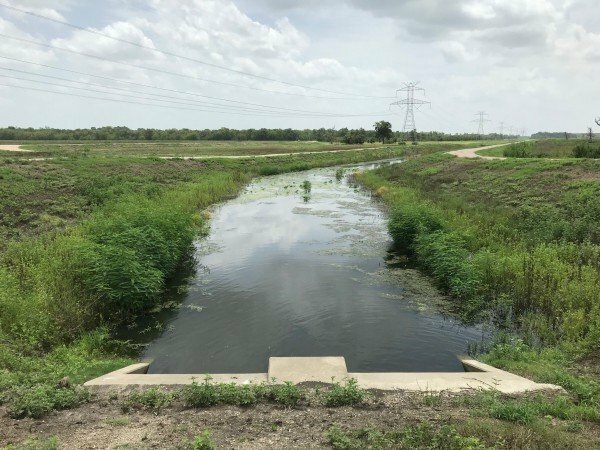 The TRWD project is being honored along with the East Fork Water Supply Project and John Bunker Sands Wetland Center, a public private partnership between the North Texas Municipal Water District and the Rosewood Corporation. Overall, the two projects create more than 4,000 acres of wetland and supply raw water to about 3.8 million people as well as habitat for animals and recreational opportunities, including fishing and hunting. The East Fork project was modeled after and designed by Alan Plummer Associates Inc., the same firm that designed TRWD’s wetlands. “These projects provide recreational opportunities, public education and research opportunities pertaining to water conservation, wetland systems and wildlife management,” according to Texan by Nature. Sitting in the TRWD headquarters in Fort Worth, TRWD Board President Jack Stevens is thrilled when asked to talk about the George W. Shannon Wetlands. 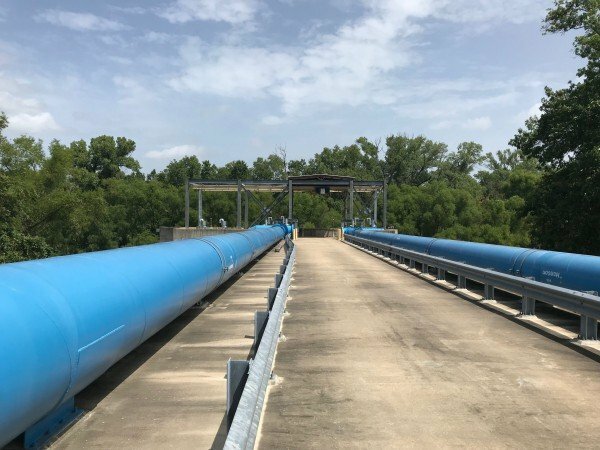 At a meeting that has just concluded, the board approved spending an additional $100,000 to continue investigating where it can develop additional water supply in the Sulfur River Basin. 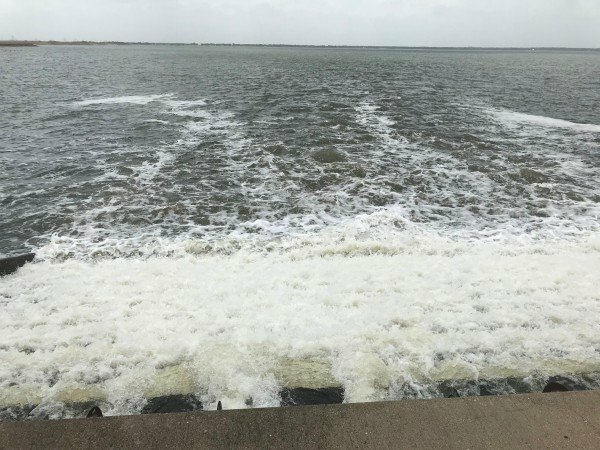 So far, the Metroplex water agencies have spent more than $7 million studying exactly what alternatives are available – including reservoirs. An engineer who has served on the board for more than 14 years, Stevens praises the biologists and engineers at TRWD who’ve worked on the wetlands, saying they have turned it into a crucial water supply resource. Then he launches into a story he loves to tell. After his first visit to the wetlands, when it was only 250 acres, he says he walked away with two bottles of water. One was cloudy, the other one was almost clear. Then Stevens took those before-and-after bottles of water back to a coffee shop in the Metroplex and plopped them down on a table. Look at what the wetlands can do, he told them. They were amazed at the difference between the two bottles.